"America the Beautiful" began as a poem by Katharine Lee Bates in 1893. It was later combined with music by Samuel Augustus Ward to form the patriotic song many of us know today. I've been thinking of this song often with the July Fourth holiday coming up, and interpretations of its lyrics are easily found each day I walk to work at the U.S. Capitol. One can't help but take in the vastness of the sky when approaching the U.S. Capitol. It is a sight to behold, no matter the weather. 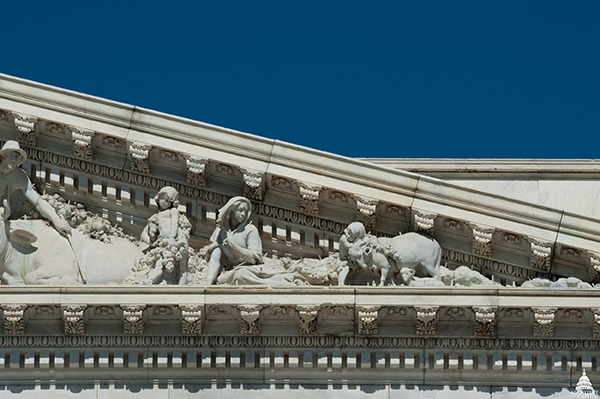 The “Progress of Civilization” pediment on the Senate wing of the U.S. Capitol features elements that represent the diversity of human endeavor, including sheaves of wheat. 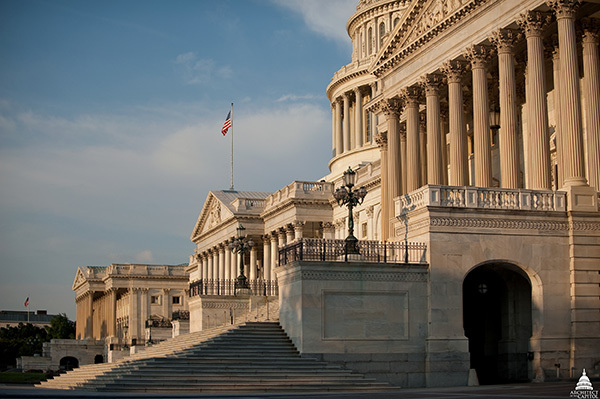 The shape of the U.S. Capitol's pediments themselves resemble mountain peaks, and its position on Capitol Hill rests elevated over the grassy National Mall below. 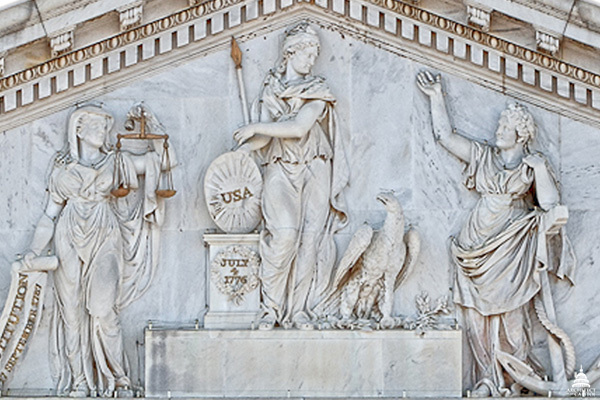 America is the central figure in the "Genius of America" pediment on the central, east section of the U.S. Capitol. To her left is the figure of Hope and to her right is Justice. 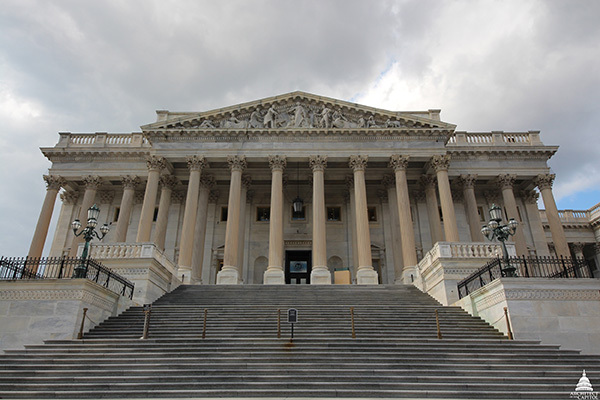 The crowning feature of the U.S. Capitol and its Dome is the Statue of Freedom. 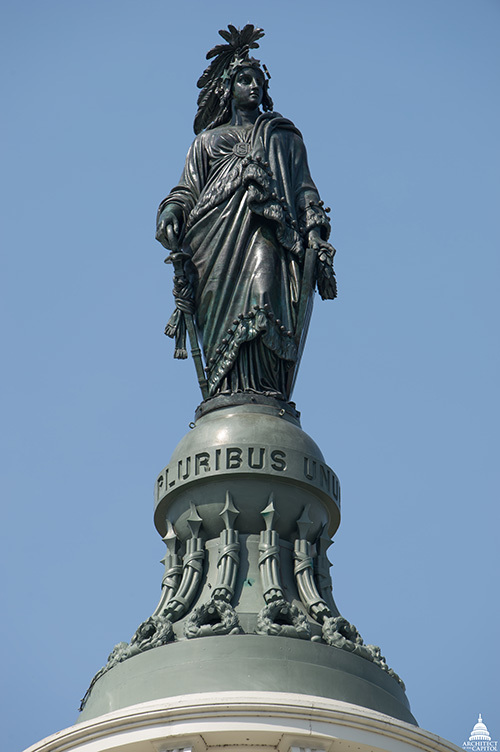 She stands on a cast-iron pedestal topped with a globe encircled with the motto "E Pluribus Unum" (Out of many, one). 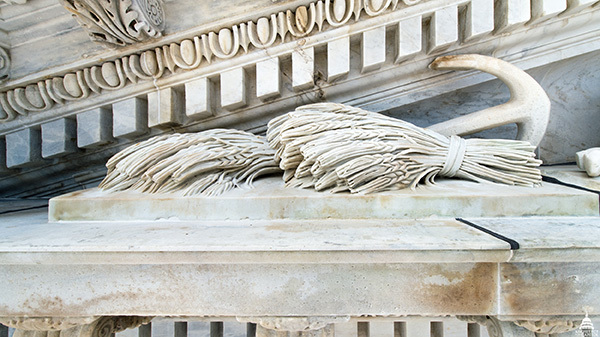 Waves at either end of the "Apotheosis of Democracy" pediment on the House wing of the U.S. Capitol symbolize the Atlantic and Pacific Oceans. Once inside the building, a portion of this verse of the song can be found written in the Cox Corridors of the U.S. Capitol's south wing above room H-146. 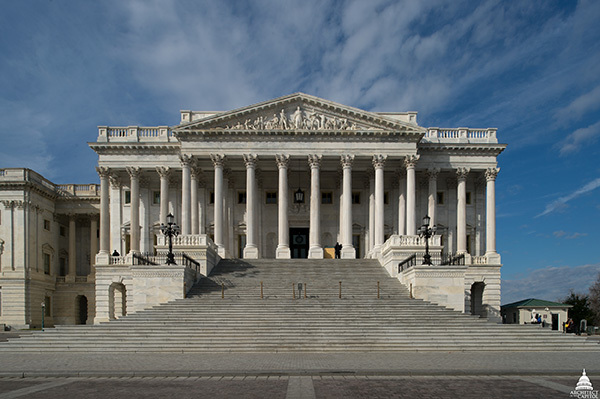 Also, if you’re in Washington, D.C.'s Capitol Hill area this week, be sure to listen for the U.S. Capitol's Carillonneur playing "America the Beautiful" at 2 p.m. on July Fourth from the Taft Memorial bells. A great song for all us to sing, but really sorry the youth of today DO NOT KNOW THE SONG nor what the words stand for.